I like funny things. Well, not videos of cats. Actually, I avoid humorous Youtube videos of any sort. But I am generally capable of appreciating all other forms of funny media: musicals, jokes (even puns), stand-up comedies, sit-coms, etc. But I’ve always been a little mystified by comedic novels. I mean, I’ve read and enjoyed fair number of ostensibly comedic novels….but I haven’t found them funny. I find it easy to recognize some kind of similarity between the feeling I get from a good joke (even if I don’t laugh at it) and a comedic song. But that feeling seems, to me, to be so different from the feeling that I get from comedic novels that I hesitate to call them the same feeling. Out of all the prose works I’ve read, there aren’t more than a handful that I’ve found to be really funny: Simon Rich’s Ant Farm; Pratchett and Gaiman’s Good Omens; and (at least when I read it like ten years ago) Dave Barry’s Big Trouble. Almost all the other comedic novels I’ve read have seemed to me to possess nothing more or less than the typical qualities of a novel: complicated characters, interesting situations, well-observed social dynamics, etc. It’s true that in ostensibly-comedic novels, these things are exaggerated in certain ways, but most novels make heavy use of exaggeration and satirical elements as well. For instance, 1984 is not considered a comedic novel, but in its cartoonish depiction of a world of doublethink, Big Brother, two-minute hates, and the like, the novel seems to be satirizing real world institutions in exactly the same way as, say, Catch-22. As another example, J.D. Salinger’s Catcher In The Rye (and, to some extent, Franny And Zooey) is about an intelligent but deluded fool who feels very estranged from the world in which he lives and goes wandering around a large city and criticizing everything around him; that’s also the same premise and technique of John Kennedy Toole’s Confederacy Of Dunces. But the former is rarely described as a comic novel, while the latter is frequently described as one. And that would be fine, if the latter novel was funny and the former was not. However, I don’t perceive that distinction. To me, 1984 and Catcher in the Rye are good in pretty much the same way that Catch-22 and Confederacy of Dunces are good. I don’t recognize comedic novels as being funny, but there is something that I enjoy about them. I like their niceness and miniaturization. Most of life isn’t heart-rending and life-altering. Most of it is tea parties and little arguments. I think that ‘comedic’ novels tend to capture that pretty well and, in some ways, they feel more true than more ostensibly realistic novels. Recently, I have read five extremely good comedic novels and I am going to summarize my reactions to them below. 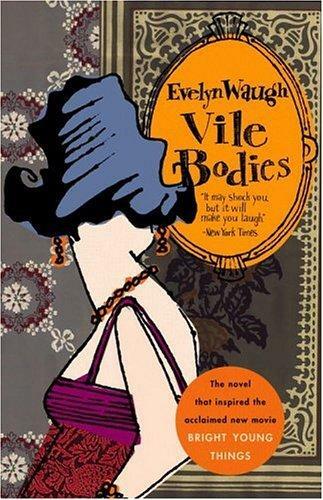 Vile Bodies by Evelyn Waugh – One of the best books I’ve read this year. 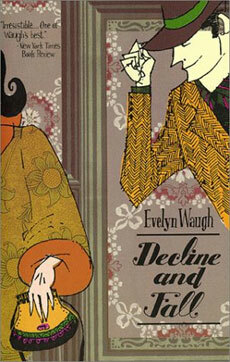 It’s a very fast-paced novel about petty English gentry in the inter-war period. I don’t think I’ve ever read another novel that was about precisely this milieu and time period. Or rather, perhaps I have (most of the Bloomsbury Group’s novels must be about these folks) but I haven’t recognized it because no one else has so skillfully drawn out matters of money and social relationships. This book is also told in a really interesting way. It’s composed primarily of very short–less than 500 word–scenes and has very abrupt transitions between scenes. novels also tend to have horrific subplots that you should look for. People die between scenes for no good reason. 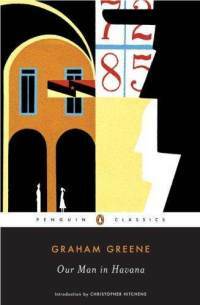 Our Man In Havana by Graham Greene – Because of his daughter’s extravagant pecuniary demands, a vacuum cleaner salesman in Havana agrees to become an informant for a British spy agency. But because he’s lazy, he just sends back doctored reports. This is only barely comic. Informants actually do this kind of thing all the time. But there’s something in the twisting desperation of the informant to manufacture a good life for himself and his daughter that is really interesting. 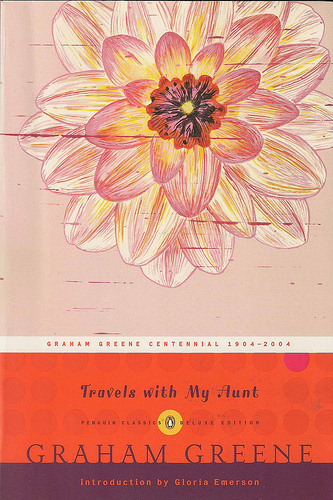 Travels With My Aunt by Graham Greene – This book is about a boring fifty year old man (a retired bank manager) who meets his septuagenarian aunt for the first time and starts going on crazy world-spanning adventures with her. The most interesting thing about this novel is its sense of restraint. If I (or any other imitator) was to write a character like the aunt, we’d make her backstory outrageous and diverse. We’d put in everything into her backstory. We’d have her taming lions in Senegal and blasting off to outer space and saving the President from assassins in Tulsa. She’d basically be Pippi Longstocking. But although Graham Greene doesn’t reveal her entire past, he basically allows the reader to reconstruct a very coherent timeline from the aunt’s stories. Although she’s still a ridiculous character, her comprehensibility makes her seem much more realistic; she’s not just some crazy awesome Chuck Norris type who no real person could ever live up to. ASIDE: Is Dickens supposed to be comedic or what? I mean, do people find him funny? Do people find him dramatic? Dickens is so weird. It’s hard to know what to think about him. He’s pretty much his own entirely inimitable blend of the absurd and the dramatic. Nothing about Dickens is real and nothing about him is funny, but when you see his mannequins walk around, some kind of real emotion oozes up out of you. I guess that he’s sort of like a musical. If you stop to think about what musicals are (stories about people who just burst out into song in the most ordinary situations) then they start to seem really ridiculous. Maybe most forms and genres of media are pretty ridiculous if you’re not willing to embrace their conventions.